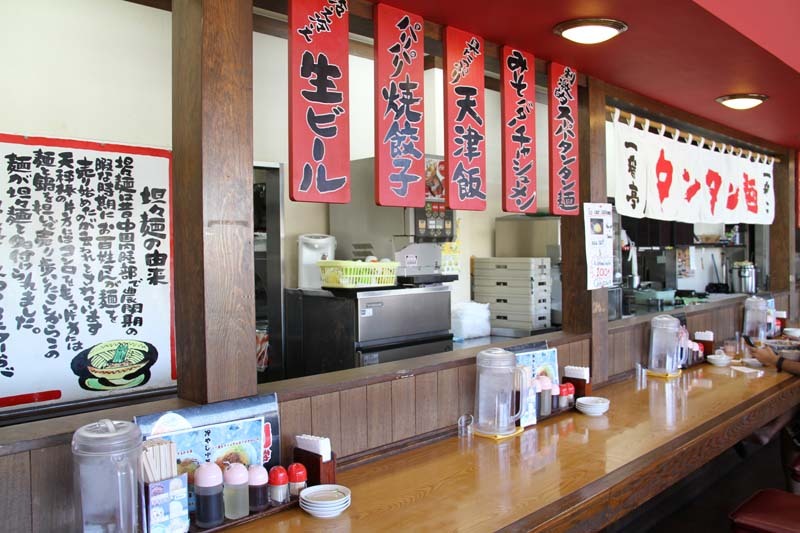 Ichibantei is a restaurant chain that began in 1982 in Iwase, Mie Prefecture, where its founder Hikaru Sugiyama opened a small ramen shop with his wife. Since then the enterprise has grown to over 50 restaurants of both its own and franchises, throughout Japan and overseas. Ichibantei’s interior is a mix of modern and traditional with seating both at tables and by the counter. 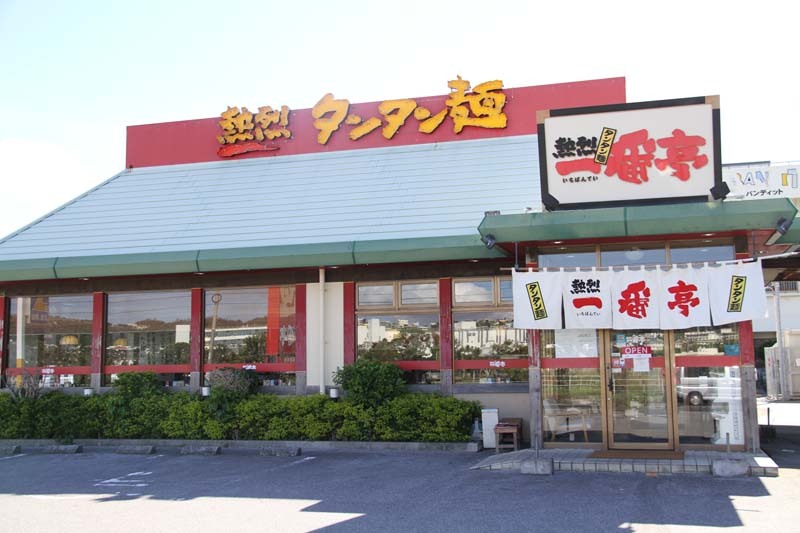 Ichibantei Mihama branch has been in business 13 years, and it’s the oldest branch of the chain in Okinawa. Ichibantei is best known for their spicy ramen called “Tantan-men.” Tantanmen traces its origins to Sichuan in China, where the standard serving style was to sell noodles by weight basted in spicy soup from road stalls. Thus, Tantan-men was originally served with a little soup and plenty of noodles. 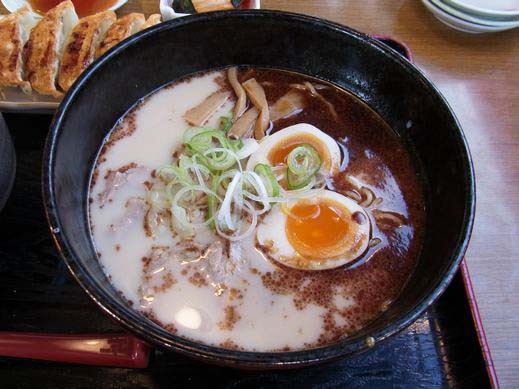 Japanese changed the concept to full bowl of soup with less noodles, and it became what tantan-men is known here now. Paitangshan-men is a specialty available only at two Ichibantei restaurants in Okinawa. The soup base consists of minced pork blended with Chinese sesame, miso and hot peppers resulting a spicy and rich tasting meal. Ichibantei Tantan-men is served in 21 level of spiciness, from mild to outright fiery. Reportedly there has been only one customer ever in Mihama Ichibantei, who ordered the hottest level meal, and ate it all. That customer was a female U.S. military service member. The interior of the Ichibantei Mihama branch is very relaxing, with plenty of table space to eat, so that whole families can find comfortable seating together. Besides Tantan-men, there are various kids’ items on the menu. The restaurant also provides forks, knives and spoons to customers who are not comfortable with chopsticks. 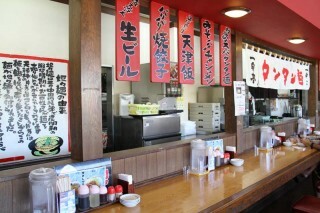 Set menus that include various kinds of ramen with gyoza and kara’age or fried rice on the side, are very popular. In addition there are spring rolls, salads, fried squid and more to choose from. Especially, Ichibantei’s original gyoza is said to be an excellent accompaniment to beer. Original Korean kimchi is free for refills. Ichibantei staff recommend customers to also try “Paitanshang-men” that is only served at Ichiban-tei Mihama and Barclay’s Court in Urasoe branches on Okinawa. Restaurant manager Nobuyuki Teruya and his Mihama branch team created their own recipe for Paitanshang-men, which took one and half years to perfect. It’s based on pork, chicken and garlic as the main ingredients. They say it’s really hard to make the level spiciness and the taste continuously even and its spiciness just right. There are only two chefs who can make that soup on Okinawa. Teruya is one of them, and he says “My greatest pleasure is when a customer tells us the ramen was good”. He cooks and prepares his stock soup in his hot kitchen today, too. He adds that they often have customers coming to the Ichibantei together with their family visiting from their own countries. As an additional bonus this time you get a free soft drink when you mention you read about them in Japan when ordering your meal. The offer is good until end of September. Ichibantei Mihama is open every day from 11 a.m. to 3 a.m. and menu in English is available. Their telephone number is 098-983-7655.